Such big plans for this session. Turns out we played for 45minutes longer than intended (total play time 1hr 45min) AND we only half achieved one of these goals. So many little achievements and failures along the way. Got killed numerous times as we tried to build our path at night and kept getting swarmed. Then had to go through the basic steps to get pick axes etc just to keep going with the goal. 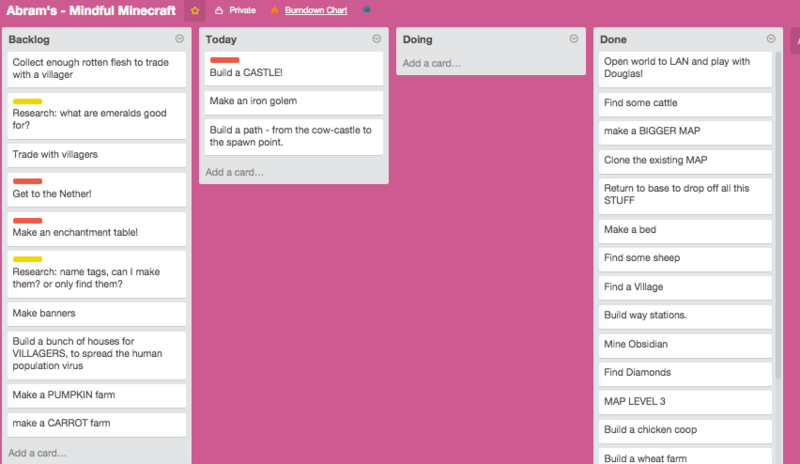 Goals for todays session: Build a Castle, Make an Iron Golem, Build a path from cow-castle to spawn point. Ok. 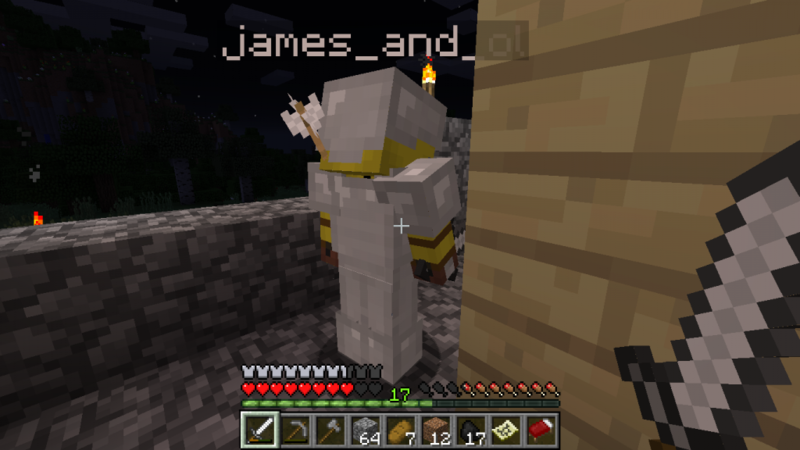 So James and @drew joined the gameplay from the start, James and I spawned at the Cow-Castle. It was Drew’s first time on, so he started out at the original Spawn Point Castle. 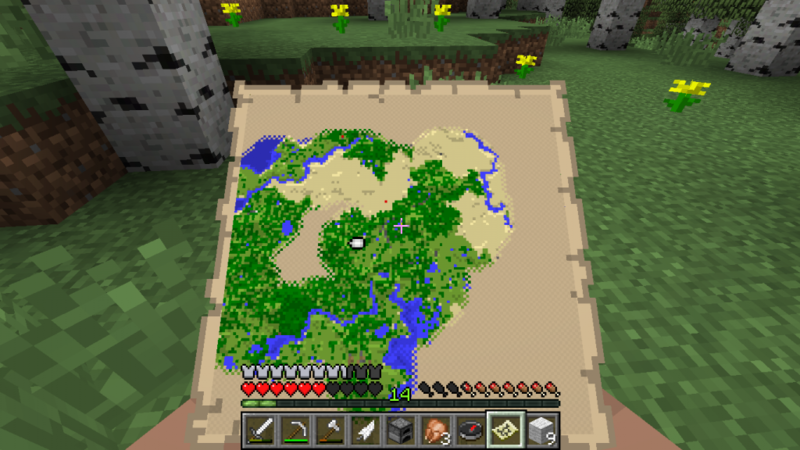 Unfortunately he didn’t have a map to come and find us. Apparently ‘head south’ didn’t work out for us either. 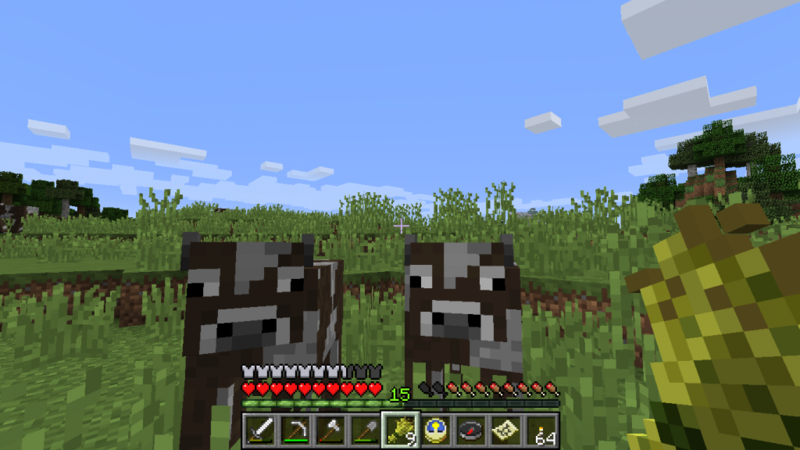 He ended up discovering a whole bunch of cool new stuff, like a deep cavern and… COWS. Closer to the original Spawn Point too. 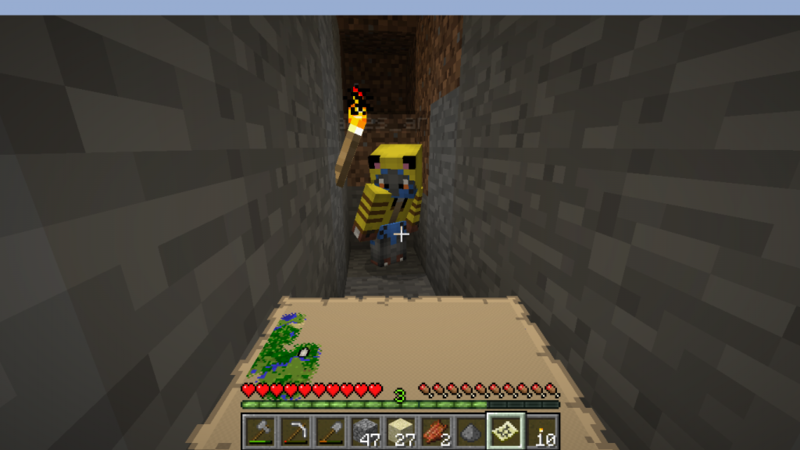 We left Drew to his own devices, I think he built a log cabin and was generally mapping out a new area. James and I got to work on building the Road to Nowherewhich was meant to be a road home. We only achieved 2/3 of that plan this time, but at least now I’m in familiar territory. 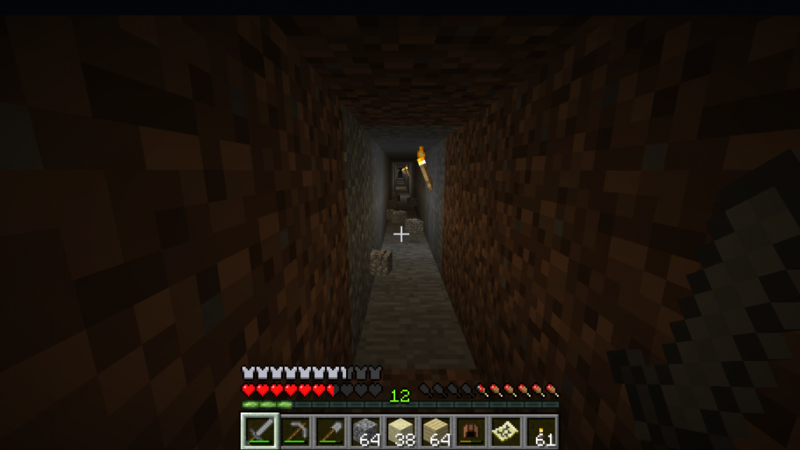 While building our road…Discovered a very dangerous pitfall. Building a road Directly North. Becomes a tunnel. 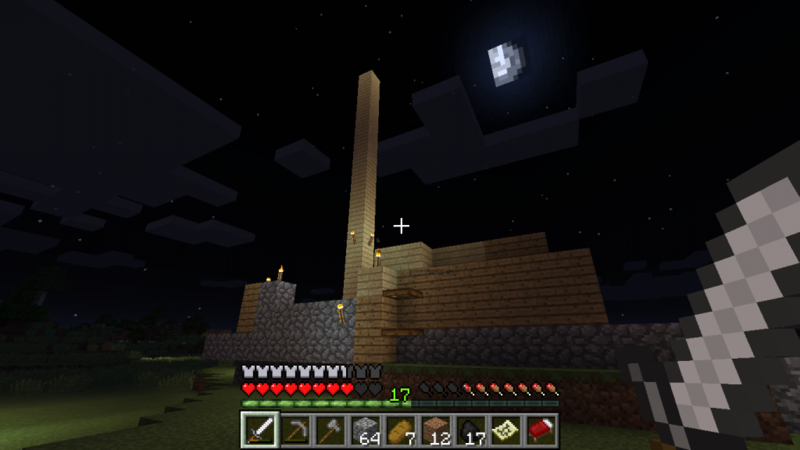 Built a tower by the south end of the Great Desert. It was a bit frustrating that we kept dying. There was a pretty big lesson in that: don’t work outside at night time unless you have someone dedicated to night watch. Next session I hop to bring the road home so we can get serious about the other tasks at hand… like building a serious Castle. 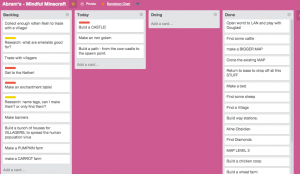 I’m learning something else as well: “Build a Castle” is probably too loose a goal. Maybe we should break that down into several other tasks. Like: Build a Keep. Build city walls around the Farms and existing . Build a Eastern Tower. Build a Western Tower of the Castle. 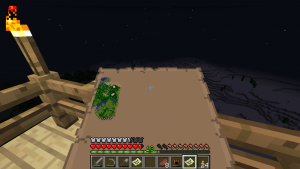 I really want the entire island to be mobs free. End of session update: (1) BUILT A PATH from Cow-Castle to the South of Great Desert. 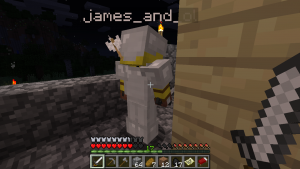 (2) James looted the Desert Temple, showed me how. 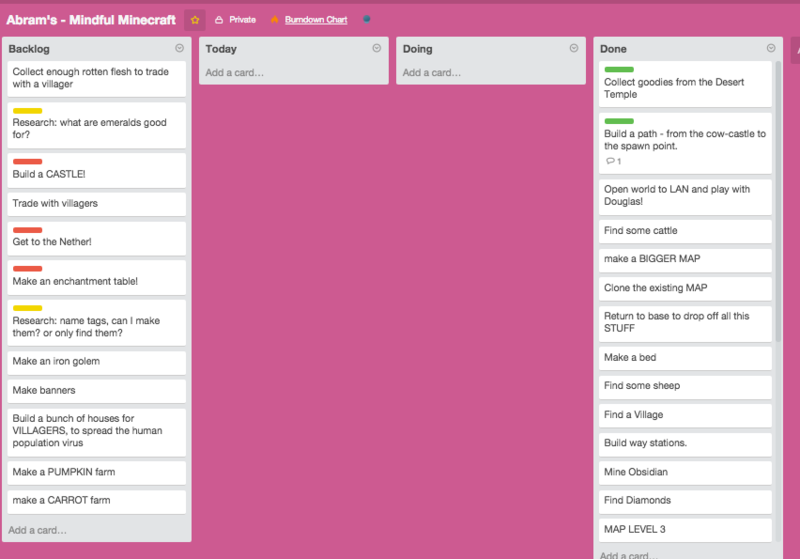 Mindful Minecrafting: Ep. 1. Where’s the Beef? 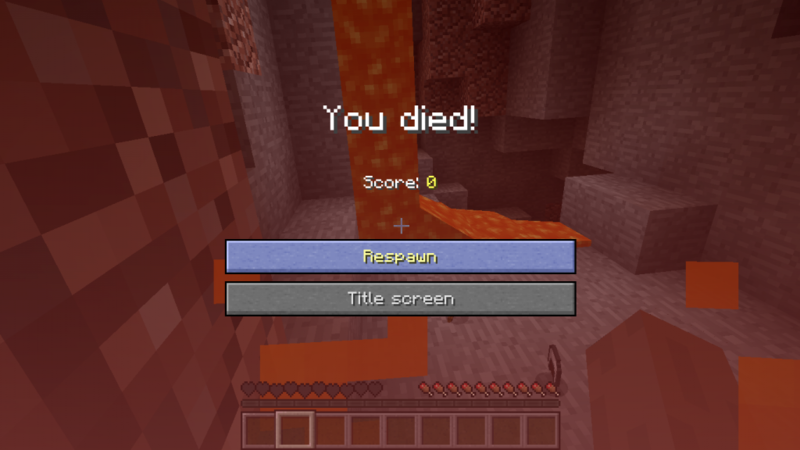 In which a play Minecraft for the first time with a restrictive 1 hour time limit and seek to achieve pre-determined goals. 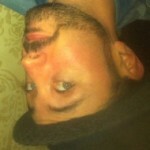 Happily I was able to succeed in my mission within the time-frame. While playing I discovered plenty of potentially distracting things that could have turned this session into a much longer one without the goal. 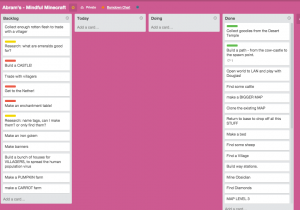 This post explains why I have decided to play (and blog about) Minecraft as a part of my exploration into Agile Learning Facilitation. As such it is also about my personal self-directed learning journey: it is my belief that you can't work with self-directed learners if you are not exploring and experiencing this practice yourself.